Born: 1 December 1827, Mansfield, Nottinghamshire, England. Died: 26 August 1915, Durban, South Africa. John Medley Wood, son of James R. Wood and his wife Hannah H. Weaver, began a seafaring career in 1844, at the age of seventeen. He served on the ship Cornelia, which was owned by a Liverpool mercantile firm engaged in the East India trade, and seven years later had risen to acting chief mate. Meanwhile his father, with his second wife and family, had settled in Durban. Wood joined them there in May 1852 and in 1855 married Elizabeth Haygarth, a younger sister of his father's second wife. She died in 1912. They had no children of their own, but adopted two sons and a daughter. He bought the farm "Otterspool" at the mouth of the Umhloti River and experimented with the cultivation of arrowroot, coffee, sugar-cane, and citrus, with only moderate success. These activities brought him into contact with M.J. McKen*, who married his younter sister. He also undertook trading expeditions into Zululand. In 1868 he moved inland to Inanda, where he opened a trading store and boarding house, and farmed for many years. He also collected plants, particularly ferns, fungi and mosses. From 1875 he corresponded with M.C. Cooke of the Royal Botanic Gardens at Kew, near London, regarding his fungi. Cooke published a list of his fungi, with descriptions of twelve new species, in the journal Grevillea in 1879, and described many more new species in the same journal in 1882. More of his fungi were identified by the Hungarian mycologist Dr K. Kalchbrenner who, as co-author with Cooke, published "Natal fungi collected by J.M. Wood, Inanda" in Grevillea in 1881. Through his collecting Wood became almost solely responsible for the knowledge of the fungi of Natal available in his lifetime. With the co-operation of Reverend John Buchanan*, Wood collected and classified the ferns of Natal and published A popular description of the Natal ferns, designed for the use of amateurs (Durban, 1877, 40 p). This was followed by a pamphlet written jointly with Buchanan, "The classification of ferns" (Durban, 1879, 12 p). The Polish botanist Anton Rehmann* visited him in 1880 and acquired his collection of mosses. In March 1882, following the retirement of J.W. Keit* as curator of the Durban Botanic Gardens, he accepted that post on condition that his duties would include the development of a herbarium. Thus he became the founder and first curator of what became the Natal Herbarium (taken over by the Natal government in 1885), using his own collections as a starting point. He remained in charge of the herbarium for more than 30 years. A new herbarium building was completed in 1902. During 1883-1897 Wood actively collected all over Natal and Zululand, and distributed duplicates of the Natal flora, receiving important collections from Europe and the United States in return. He discovered many new species and accumulated extensive information on the geographical distribution of plants. His work led to a number of important publications, for example: An analytical key to the natural orders and genera of Natal indigenous plants (Durban, 1888, 49p); Catalogue of plants in Natal Botanic Gardens... (Durban, 1890, 85p), which listed 1850 species; Preliminary catalogue of indigenous Natal plants (Durban 1894, 47 p), with over 2200 species; Guide to the trees and shrubs in the Natal botanic gardens, Durban (1897, 70 p); and a list of "Natal fungi", in his annual report for 1898 - the first such list published locally. However, his major work was Natal plants: descriptions and figures of Natal indigenous plants, with notes on their distribution, economic value, native names, etc. (Durban 1898-1912), published in six volumes under the auspices of the Natal government and the Durban Botanic Society. Each volume contained 100 species, each beautifully illustrated. The first volume was prepared in collaboration with Maurice Evans*, while the illustrations of all the volumes were drawn mostly by Miss Millicant Franks* and Miss Frieda Lauth*. Wood was still working on a seventh volume at the time of his death, but this was never published. He also published a Handbook of the flora of Natal (Durban, 1907, 202 p), containing over 3400 species; a "Revised list of the flora of Natal" (Transactions of the South African Philosophical Society, 1908, Vol. 18, pp. 121-280), with a supplement in the Transactions of the Royal Society of South Africa (1910, Vol. 1, pp. 453-472) and a later "Addendum" (Ibid, 1913, Vol. 3, pp. 47-60); and a List of trees, shrubs, and a selection of the herbaceous plants growing in the Durban municipal botanic gardens... (Durban, 1915, 111 p). Three articles by him published in the Natal almanac, directory and yearly register dealt with "The indigenous fibre yielding plants of Natal" (1892), "Poisonous plants of Natal" (1895), and "Native herbs, medicinal and otherwise" (1896). Through his publications he fostered an appreciation of indigenous plants among the colonists and helped to convince some of them to study the country's rich flora. He "has investigated the Flora of Natal with conspicuous energy, and has done more than any other botanists to reveal its riches" (Thiselton-Dyer, 1897, p. ix). He was the most important of the Natal botanical pioneers and, despite some criticism of his field work, has been named the "father of Natal botany". In his later years the botanic gardens were seriously affected by a decline in public interest in botany and by a lack of funds during 1907-1909. Wood retired as their director in 1913, when he was succeeded by James Wylie*. However, he remained in charge of the herbarium, which by the time of his death contained some 46 000 specimens. During 1878-1879 Wood participated in the activities of the short-lived Natal Microscopic Society, by exhibiting leaf fungi and stained preparations of ferns at one of its meetings, and presenting a paper on "Classification of ferns" (August 1879) which was published in the Natal Colonist. In 1887 he was elected an associate of the Linnean Society. From 1885 he served on the management committee of the Durban Natural History Museum for several years. He became a member of the South African Philosophical Society in 1897, remained a member when it became the Royal Society of South Africa in 1908, and was elected a Fellow of the latter in 1912. By 1910 he was a member of the South African Association for the Advancement of Science. That year he was elected joint vice-president of the newly established (but short-lived) Natal Scientific Society and subsequently contributed some papers to its journal, The Naturalist (1911). Throughout his life Wood was a strong and healthy man and had an excellent memory. When the Durban Botanic Garden was taken over by the Durban corporation and the Natal Herbarium by the government of the Union of South Africa in 1913, he remained in charge of the herbarium until his death in 1915, at the age of 87. In February 1913 the University of the Cape of Good Hope conferred an honorary Doctor of Science (DSc) degree on him in absentia, in recognition of his important contributions to botany. The fungus genus Woodiella was named after him by P. Sydow, and the genus Woodia (Family Asclepiadaceae) by F.R.Rudolf Schlechter*. Many indigenous species also commemorate him, for example, Erica woodii, Salix woodii, Encephelartos woodii, and Stapelia woodii. He collected about half of the 45 000 specimens that were in the Natal Herbarium at the time of his death, and sent duplicates to many local and overseas herbaria. His fungus collection went to the National Collection of Fungi at the Plant Protection Research Institute in Pretoria. Doidge, E.M. South African fungi and lichens to the end of 1945. Bothalia, 1950, Vol. 5, pp. 1-1094 (see pp. 35-36). Durban Botanic Society. Report Natal Botanic Gardens, 1884, 1886. Durban: T.L. Cullingworth. Gunn, M. & Codd, L.E. Botantical exploration of southern Africa. Cape Town: Balkema, 1981. 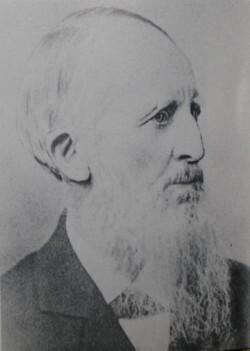 John Medley Wood. South African Journal of Science, 1965, Vol. 61, p. 296. McCracken, D. & McCracken, P.A. Natal, the garden colony. Sandton: Fransden, 1990. Natal almanac, directory and yearly register, 1879, 1883-1887, 1898-1899. [Natal] Colonial Herbarium. Report for the year 1894. Durban: Natal Mercury, 1895. The Naturalist (Durban), 1911, Vol. 1, Numbers 3, 5 and 6: Council of the Natal Scientific Society, and papers by J.M. Wood. [Obituary] John Medley Wood. Annals of the Bolus Herbarium, 1918, Vol. 2, pp. 33-36. [Obituary] John Medley Wood, DSc, ALS. Report of the South Arican Association for the Advancement of Science, 1916, p. 313. Phillips, E.P. A brief sketch of the development of botanical science in South Africa and the contribution of South Africa to botany. South African Journal of Science, 1930, Vol. 27, pp. 39-80. Pole-Evans, I.B. Presidential address: A sketch of the rise, growth, and development of mycology in South Africa. Report of the South African Association for the Advancement of Science, 1916, pp. 97-115. Royal Society of South Africa. Transactions, 1910-1913, Vol. 1 and 3. South African Philosophical Society. Transactions, 1898-1907, Vol. 10, 16 and 17: Lists of members. Strey, R.G. "The Father of Natal Botany": John Medley Wood. Natalia, 1977, Vol. 7, pp. 43-45. Thiselton-Dyer, W.T. (ed.) Flora Capensis, Preface to Vol. 6 (1897). University of the Cape of Good Hope (1873-1918) and University of South Africa (1918-1987). [Register of honorary degrees conferred]. University of South Africa archive, Pretoria. Wood, J.M. Catalogue of plants in Natal Botanic Gardens, Durban, September 1889. Durban: T.L. Cullingworth, 1890.